The rise of business intelligence in response to the growth in data use and the importance of effective integration, analytics and reporting in a BI platform. 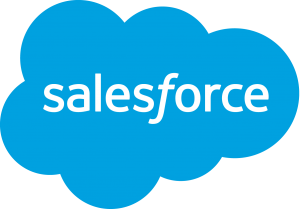 The rise of Business Intelligence (BI) and data insights is illustrated perfectly by American cloud computing company Salesforce’s acquisition of Metamind, an artificial intelligence start up. This takeover boosts the San Francisco-based company’s ability to automate and personalise its cloud computing capabilities. It vastly increases both companies’ ability to offer even more powerful business intelligence services through automating and personalising customer support, marketing and several other processes. It’s a classic example of two companies gearing up to mutually increase their business intelligence capabilities. Torrents of data are streaming into companies and organisations from users and customers nowadays. Much of it is highly sophisticated and detailed giving service and product providers high potential to ‘gain intelligence’ about their customers and therefore react and provide what their market is hungry for. The need for business intelligence to effectively manipulate and use these huge amounts of data for companies and organisations has meant a huge growth in the industry and a sharp rise in the number of companies providing business intelligence services. Companies specialising in building business intelligence platforms to help companies and organisations sift the data so as to fully understand their customers and market are enjoying huge growth. This is where all tools used in a platform operate similarly to each other. They use the same ‘underpinnings’ so as to be familiar with each other and provide the ability for users to collaborate and share information easily. Easy development of the platform is important so related applications can be built easily and efficiently. An easy way should be designed into the platform for all users to gather information and provide reports using graphical interfaces such as dashboards and interactive displays (particularly helpful for reporting purposes). It should be easy for users to query the platform without requiring the help of specialist IT staff. Integration with popular commercial software applications such as Microsoft Office is a key feature of business intelligence platforms. Functions such as search are often designed to work in familiar ways to users by the platform developer designing a similar interface to Google and other popular search engines. Quick and easy analysis of data – and analysis that alters in real time to provide up to the minute business intelligence – is often provided by interactive methods including the use of graphics such as pictures and charts as opposed to ‘dry’ rows and columns. Fast querying and calculation enables swift answers to analytic queries, and a ‘scorecard’ type graphic on the dashboard can show how performance is measuring up to preset objectives. The design and implementation of a powerful and useful business intelligence platform is a key step on the way to making the most of incoming data. Using the services of a provider who can develop a suitable system and help you make the most of your data is paramount, especially if you opt for a bespoke platform as you’re likely to do if you wish to make the most of your data. Along with a platform suitable for a specific business or organisation, the provider should be keen to properly ‘partner’ with you in terms of ongoing support and development of the platform in the light of new innovations in what is a fast-moving field and your changing demands over time.